This 10 video tutorial contains everything you need to get started in D3.js. In a fast paced hour and 5 minutes, you'll learn how SVG works, D3 selections, scales, axes, animation, updates, external data, a fast development setup, and an overview of SVG paths - everything you need to get productive quickly and started making your own advanced, interactive data graphics. 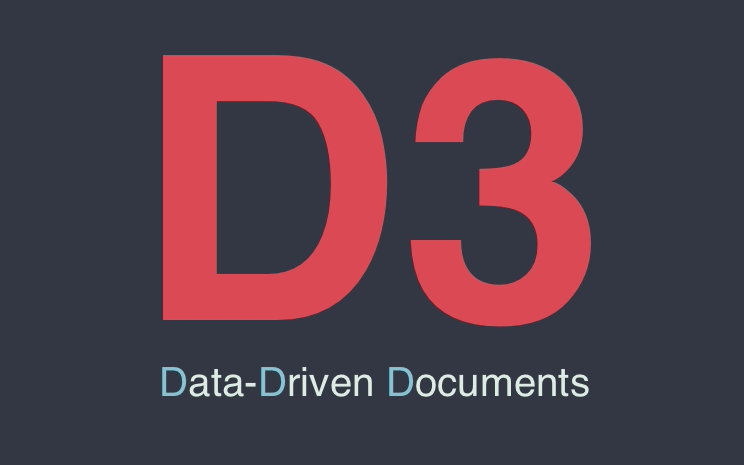 This is the start of a video tutorial course on D3.js: Data Driven Documents. In this first video, we'll go over what SVG is, and how it works. Creating a bar chart is a good way to learn the basics of D3. To draw a chart, you need to combine svg, selections, data binding, sub-selections, and scales. We'll cover each of these in this video. In D3, scales are functions which map data in a dataset to data which makes sense visually. Learn the finer points of quantitative vs ordinal scales, and refactor the bar chart to use d3's scale functions. Axes and labels tell us what graphic elements represent. Axes give us an idea of the scale of a dataset. Labels tell us the particular values of shapes on screen. We'll refactor the bar chart to includes an axis and labels. Animation can transform a boring static picture into an amazing experience, and get people's attention. But beyond looking nice, animation makes it easier to follow the data. Learn about transitions, key frames, interpolators, and timing. In episode 5 we went over how animation and interaction works in D3. In this video, we'll apply that knowledge to the bar chart. When we're done, it'll be dynamic, with animated transitions, and we'll be able to interact with it. In this tutorial, we'll add the ability to add new data to the chart, and use animated transitions to get new data on screen, and take old data away. We'll cover the general update pattern, object constancy, key functions, and continuous updates. In many cases, you’ll want to load data from an external source. We'll look at D3's request functionality, and show how to load external JSON and CSV data. In most of the examples I’ve shown, the code is on the left, and a browser window is on the right. Whenever I save a file, the browser window refreshes automatically, making for a faster development cycle. There’s more than one way of doing this - I’ll show you my setup. SVG Paths are used to draw more complex shapes, like the ones you see in line charts, pie charts, and maps. We'll learn how paths work, break down the path data command language, line and curve commands, and D3's Path Data Generators.